Exporters & importers of carlogavazzi, Fotek, meanwell in India. Carlogavazzi, fotek, meanwell we are covering following products fotek capacitive sensors,fotek Inductive Proximity sensors,Photo sensors, Level sensor, loop detector, light curtain, monitoring relays, string monitoring relays, solid state relays, EMR, electro magnetic relays, sensors, photosensor, smps, power supply, switch mode power supply, LED driver, LED smps etc. supporting the customer in a better manner all over India. Carlogavazzi sensors Our major customers are presented in all over India.We are covering the following areas like Carlogavazzi Chennai, Madurai,Fotek mumbai, Coimbatore, Pondicherry, Carlogavazzi sensors Bangalore/Bengaluru, Hubli, Hyderabad, Vizag, Carlogavazzi Mumbai, Biwadi,carlogavazzi Delhi, Pune, Noida, Haryana, Faridabad, Ghaziabad, Carlogavazzi Gujarat, Baddi, Indore, Surat, carlo gavazzi Ahmedabad, Vadodara, Vapi, Tamilnadu, Carlogavazzi Maharashtra, Meanwell Kolkata, Westbengal, Udaipur, Jaipur, Carlogavazzi Punjab, Silvassa, Ludhiana, Kashmir, Carlogavazzi Goa, Jharkhand, Odisha, etc. Current Consumption 25 mA max. Output Method NPN & PNP 150mA max. Being a client-centric organization, we are engaged in offering a distinct collection of Fotek Photoelectric Sensor. Our vendor’s professionals manufacture this sensor using well-tested raw-material and sophisticated technology. In addition to this, our offered sensor is rigorously tested by our quality controllers against diverse parameters in order to deliver a defect-free range at clients end. Moreover, the offered sensor is appreciated by our clients for featuring variegated attributes like optimum quality and durability. 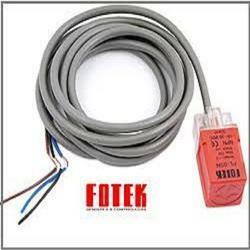 We are dedicatedly engaged in offering a commendable range of Fotek Products - Capacitive Sensors. Besides being manufactured from high-grade raw-material and latest technology, the offered sensors are inspected properly by our vendor’s professionals. Owing to features like durability and sturdiness, the offered sensors are exceptionally valued by our precious clients. 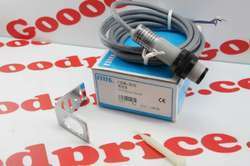 The offered sensors are available with us in various specifications at affordable price.